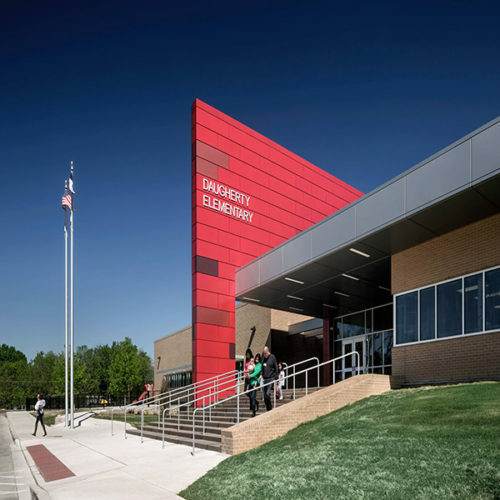 The new elementary school is a replacement facility for an aging building. 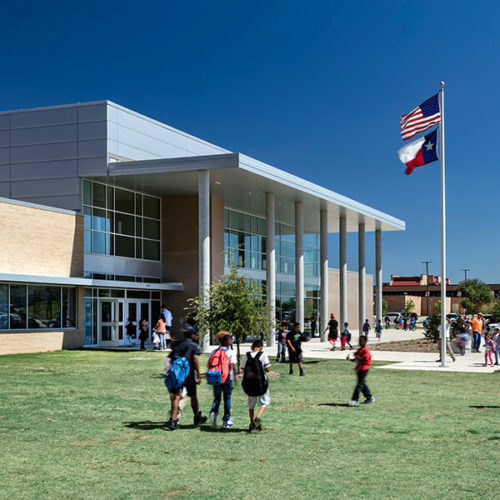 Built on the same site, the new school is an investment in the existing neighborhood designed to engage and support the community. 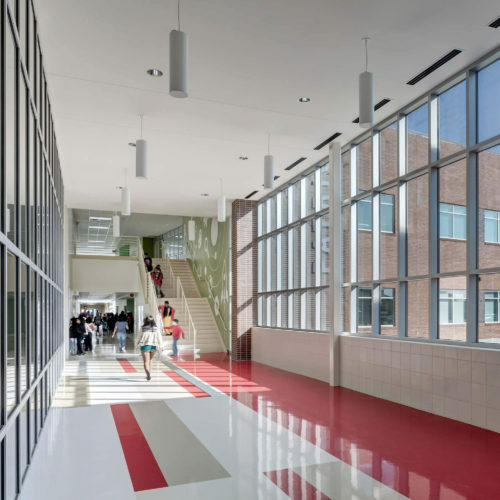 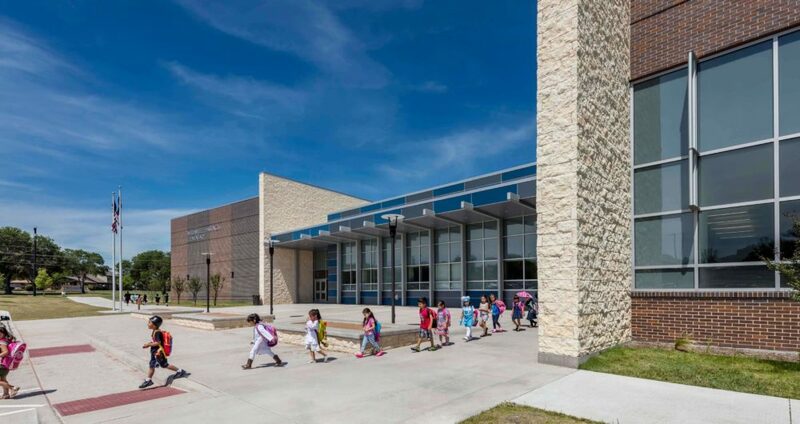 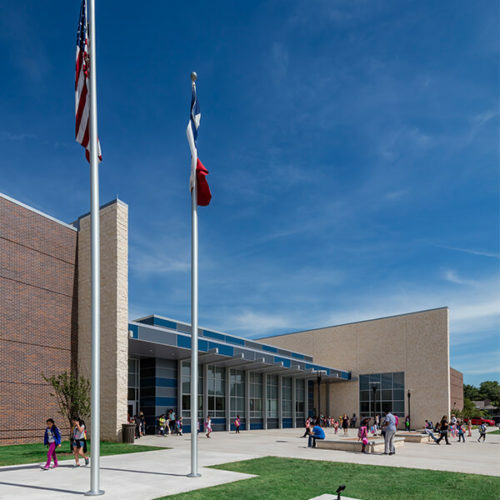 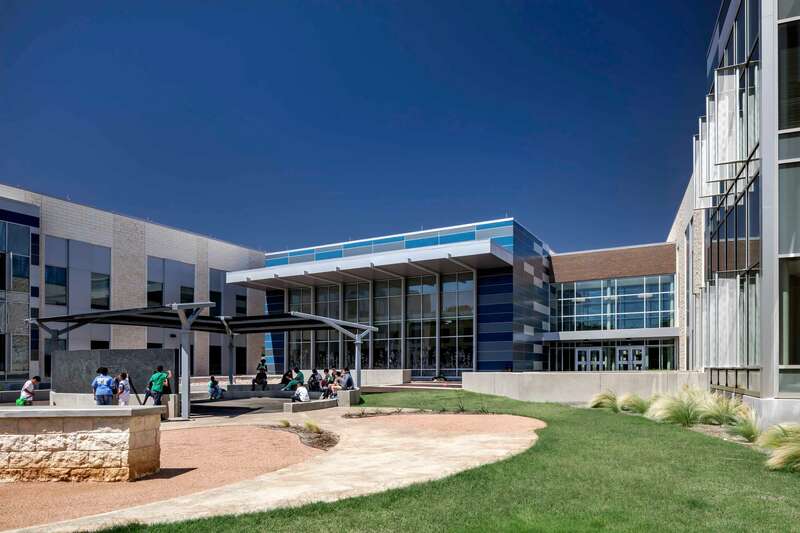 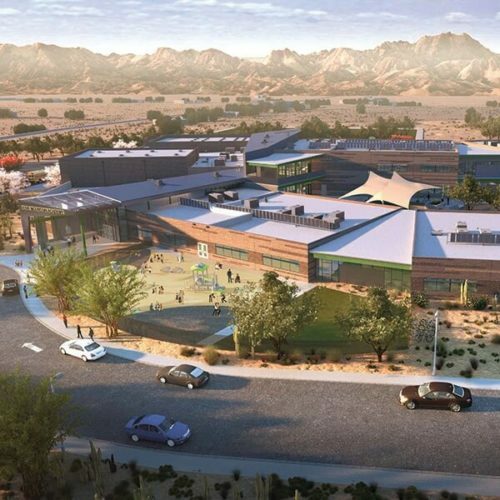 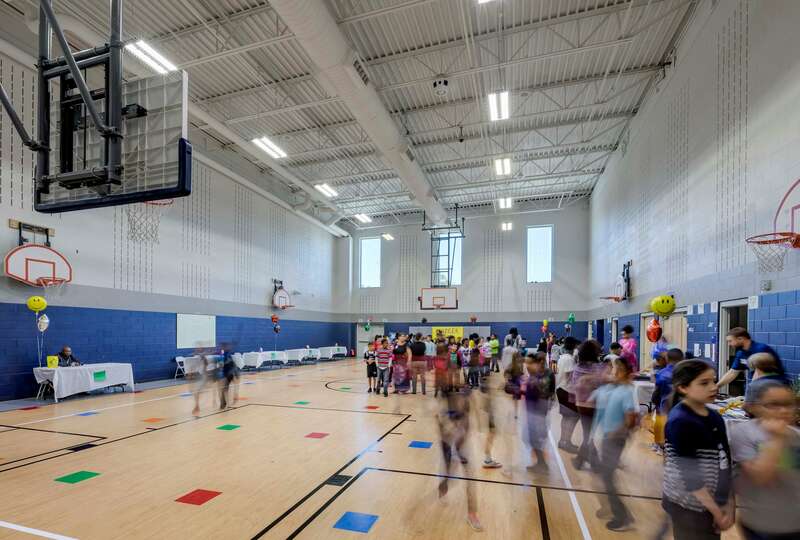 The building is designed to create a school community with grade-level neighborhoods. 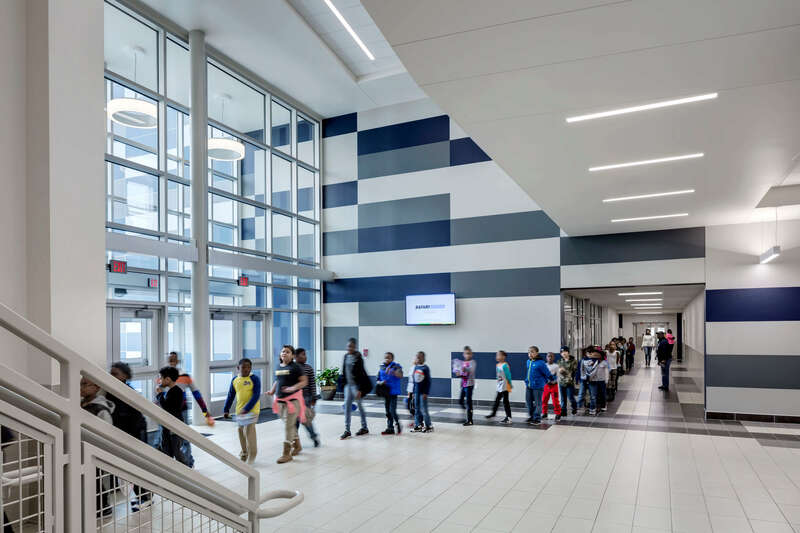 Classrooms surround open flexible collaboration spaces with full height interactive work spaces. 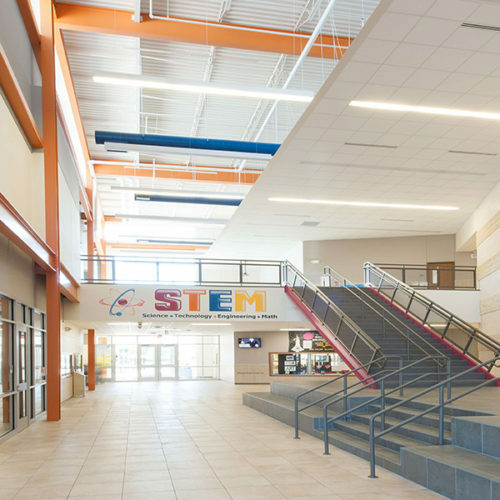 Flexible learning labs provide areas for science and engineering. 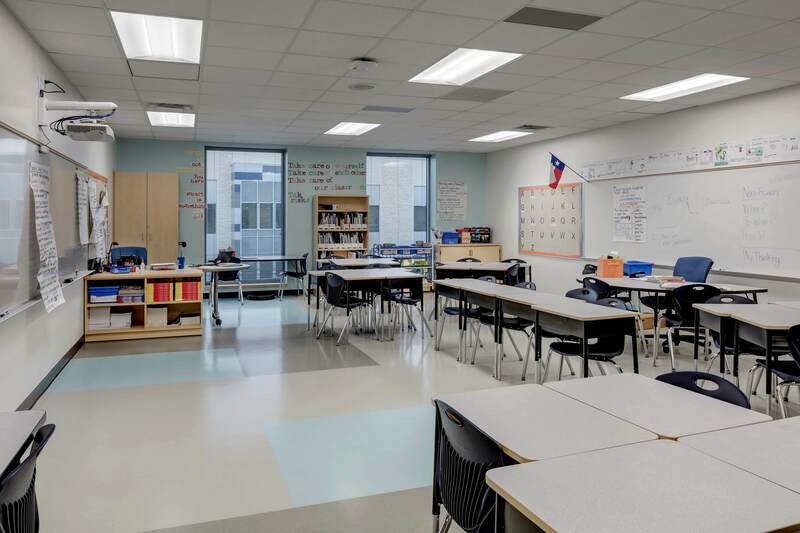 The spaces are planned with adjacency to adaptable break-out areas for students and adjoining teacher planning spaces supporting collaboration, small and large group activities. 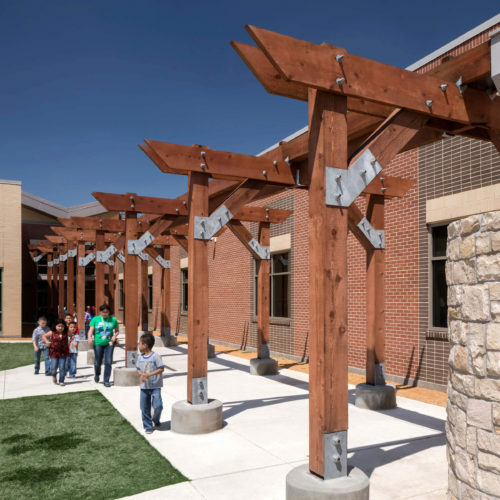 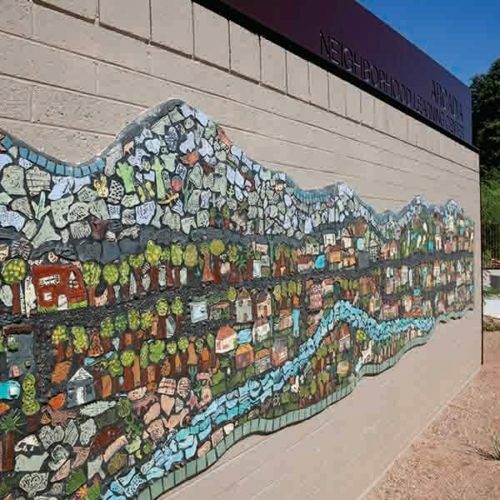 The neighborhoods surround an outdoor learning courtyard that provides another space for students to collaborate and engage in their environment through large group spaces, stream table, water cistern and planting bed areas.